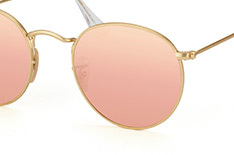 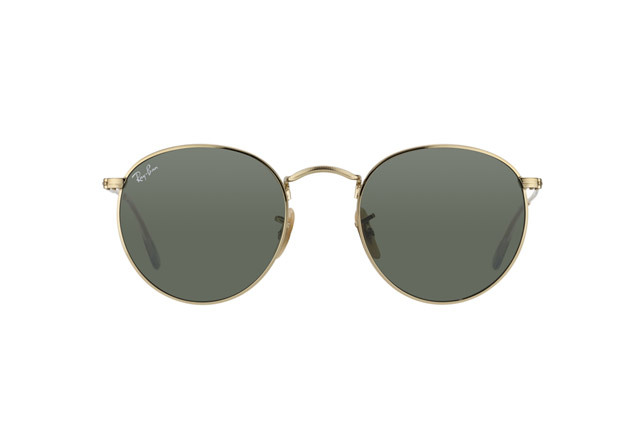 The unisex Ray-Ban Round Metal glasses - think John Lennon - are a prime example of how Ray-Ban reinvent classic looks with modern touches. 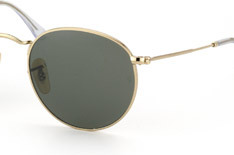 The Round Metal’s gold-coloured metal are so chic that you will feel like a star. 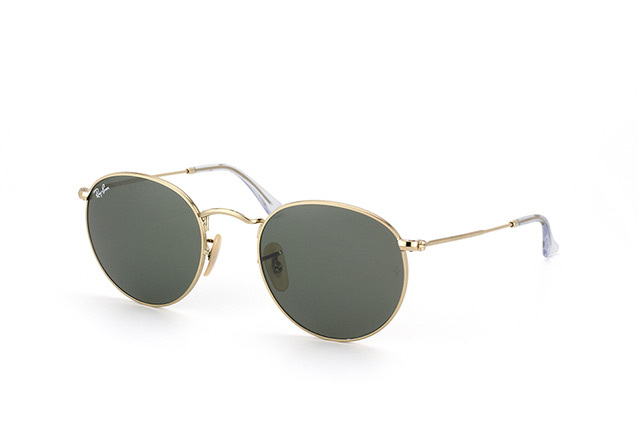 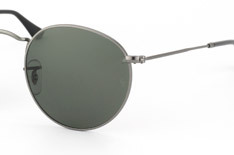 The round lenses come in a hip green shade, with the famous Ray-Ban signature in the upper right corner of the right lens. 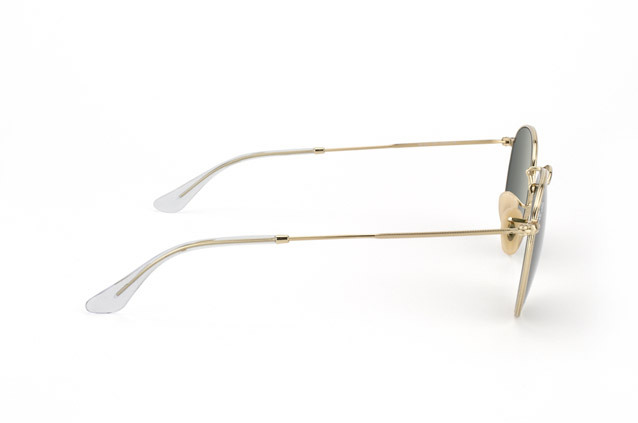 The curved nose bridge and narrow, elegant temples are deliberately set higher up than usual to create a unique fit and style, while a plastic covering at the end of the temples and plastic nose pads ensure maximum comfort.